In U.S. Trade Chief's Hometown, Trump Trade Policies Bring Uncertainty And Hope In Ashtabula, hometown of U.S. Trade Representative Robert Lighthizer, people are hoping the president's agenda brings renewed vigor to manufacturing. 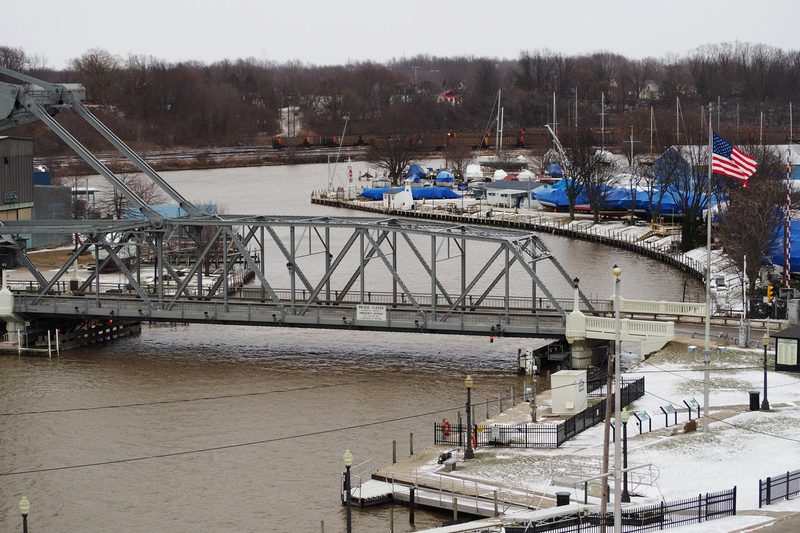 Ashtabula, Ohio, was a thriving factory town in the 1950s, with a busy port where freighters brought iron ore to be used in the steel mills of Pennsylvania. When U.S. Trade Representative Robert Lighthizer was growing up in Ashtabula, Ohio, in the 1950s, it was a thriving factory town with a busy port where freighters brought iron ore to be used in the steel mills of Pennsylvania. Today, many of the biggest factories have long since left the region for low-wage places — taking a lot of jobs with them — and the port ships a fraction of the freight it once did. 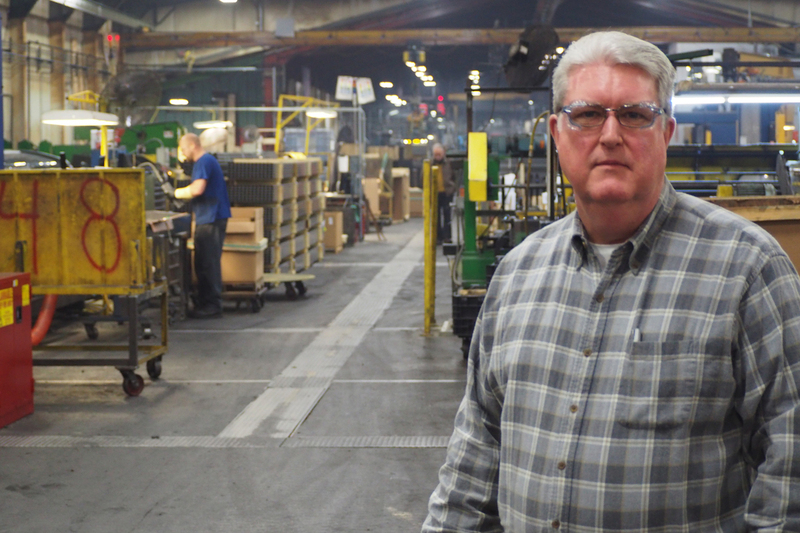 The manufacturers that remain in Ashtabula County tend to be smaller, nimbler companies integrally tied to global trade, and they have been deeply affected by the dramatic changes in trade policy overseen by its native son. "We're looking at [a] $320,000-a-month increase in operating costs. That's because of steel," says David Jenkins, vice president of operations at Welded Tubes in nearby Orwell, which makes the steel backing for car seat headrests. After President Trump imposed tariffs on imported steel and aluminum last year, the price of raw materials used by Welded Tubes shot up, although it has fallen somewhat more recently. Despite that, Jenkins sees opportunity in Trump's trade agenda. In fact, the company is expanding its plant and trying to hire 20 percent more workers. David Jenkins, vice president of operations at Welded Tubes in nearby Orwell, Ohio, says that despite increased costs due to steel tariffs, he sees opportunity in Trump's trade agenda. The U.S.-Mexico-Canada Agreement, the new trade pact that is supposed to replace the North American Free Trade Agreement, requires cars sold in North America to contain more parts made in the region. If the agreement is approved by Congress, it could mean more demand for the products made by Jenkins' company. "Now that all auto manufacturers are looking at onshoring additional manufacturing and assembly plants, it's very good for Welded Tubes," he says. U.S. Trade Representative Robert Lighthizer, a native of Ashtabula, Ohio, has long said U.S. trade policy has devastated American manufacturing. 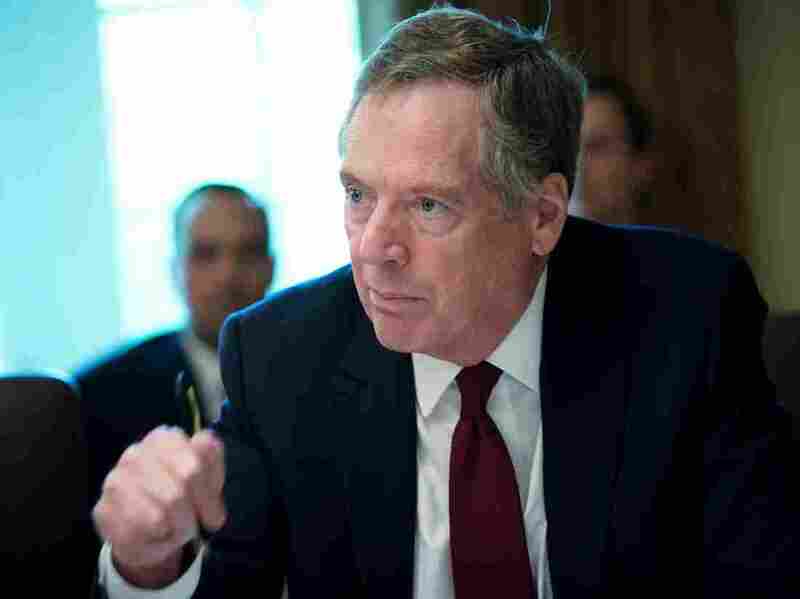 It's perhaps no coincidence that Trump's effort to overhaul U.S. trade policy is being overseen by Lighthizer, a low-key Washington steel-industry attorney who has long maintained that U.S. trade policy has devastated American manufacturing. "There has been a growing feeling that the system that has developed in recent years is not quite fair to American workers and manufacturing and that we need to change," he said in a September 2017 speech before the Center for Strategic and International Studies. Those who know Lighthizer say his views on trade have been shaped at least in part by watching the economic changes that have roiled his hometown. "When that recession of the '70s happened, a lot of places moved out. A lot of companies moved out. We became the Rust Belt. A lot of stores became empty," says Ray Gruber, a former machinist and United Steelworkers official who grew up in the county. Since then, Ashtabula County has worked hard to transform its economy, with some success. Its unemployment rate was 4.7 percent in November — above the national average but still low enough for employers to complain that they're having trouble finding competent workers. The county has leveraged its location on Lake Erie to draw tourists from nearby Cleveland and Pittsburgh, and the Ashtabula waterfront where huge amounts of coal were once loaded onto freighters is now dotted with coffee bars and breweries. Today, Ashtabula County still sells plenty of products around the world, but they tend to leave on trucks instead of cargo ships. And those doing the selling are closely monitoring the ongoing tensions between the U.S. and its trading partners. 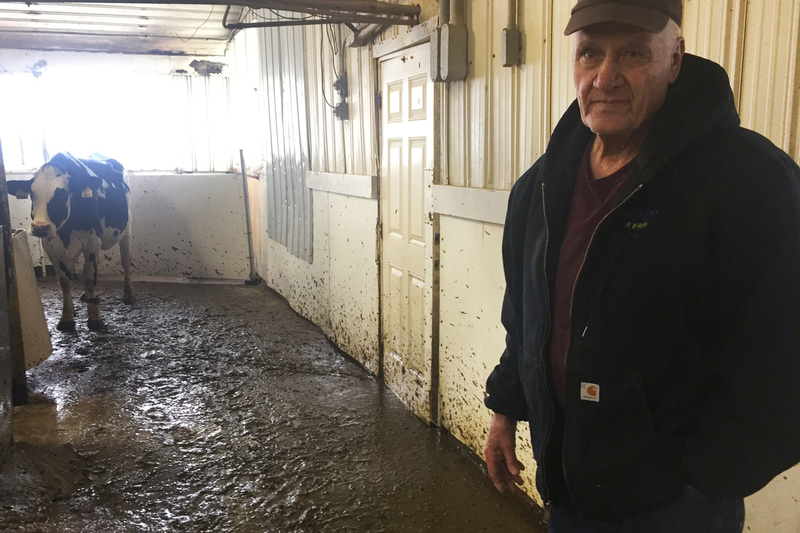 "I don't think there's any winners in a trade war," says dairy farmer Jim Comp, who milks more than 1,100 cows every day. The milk is sold to a dairy-industry co-op and made into cheese. After Trump slapped tariffs on metal imports, Mexico retaliated with tariffs on U.S. dairy imports, which drove down milk prices across the United States, Comp says. "We're able to survive, but it's really below our cost of production," he says. Dairy farmer Jim Comp milks more than 1,100 cows every day. The milk is sold to a dairy-industry co-op and made into cheese. While the new North American trade pact promises to open up the Canadian market to U.S. producers, Comp says it is probably not large enough to make a difference for farmers like him. The tariffs have also generated a lot of uncertainty for companies such as Grand River Rubber & Plastics, an employee-owned manufacturer of gaskets and rubber belts. The belts made by Grand River are shipped to China and are installed in vacuum cleaners, which are then brought back to the United States for sale. With Trump threatening to raise tariffs on Chinese imports, the vacuum cleaner market has slowed, says company President Donald Chaplin. Grand River is also having to pay more for a polymer used in production. But Chaplin still expresses some support for the trade agenda now overseen by Lighthizer. Over the years, Chaplin has watched many of the manufacturers he sells to depart for low-wage countries, where they tend to buy from local suppliers. But when Grand River has tried to break into foreign markets, it has often faced barriers, he says. Trump is trying to change that, Chaplin says. "I don't agree with all that he's done and definitely some of his methods sometimes," he says. "I think if you take him at his word, he does have the American worker at heart. I think he is concerned about America."